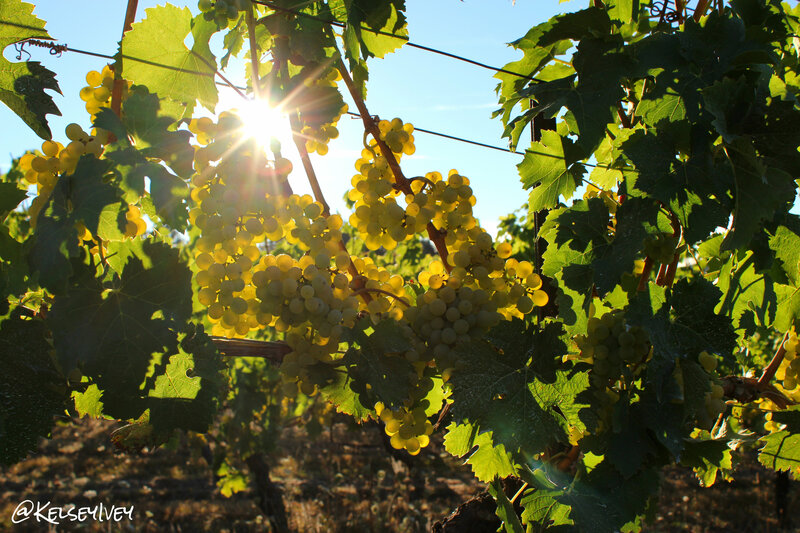 As the grapes plump with sugar and the vine leaves turn toward the sun’s warmth, harvest season 2012 rolls through Oregon. 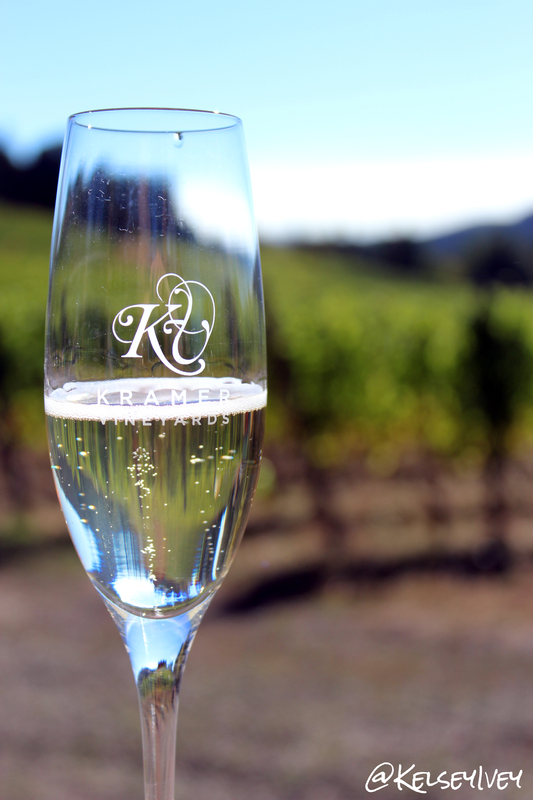 Heading out to wine country in the north Willamette Valley, I volunteered my time and hands at Kramer Vineyards as the fields spread out in fully fall glory. Walking the rows of Chardonnay with bucket in one hand and snippers in the other, I dropped fruit for their next vintage with about 12 other volunteers, who couldn’t pass up the chance to be a working part of this amazing vineyard’s next Brut. 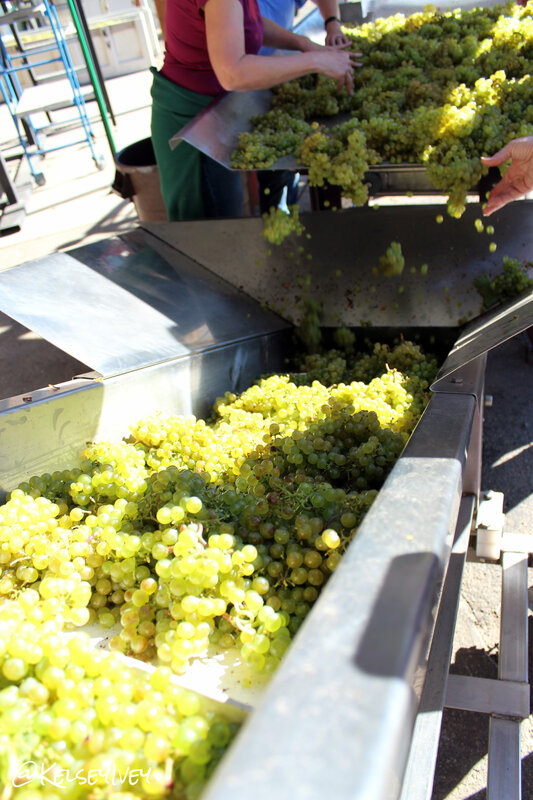 And without a cloud in the sky, the first harvest graced us with lovely grapes, warm weather and lots of laughter. 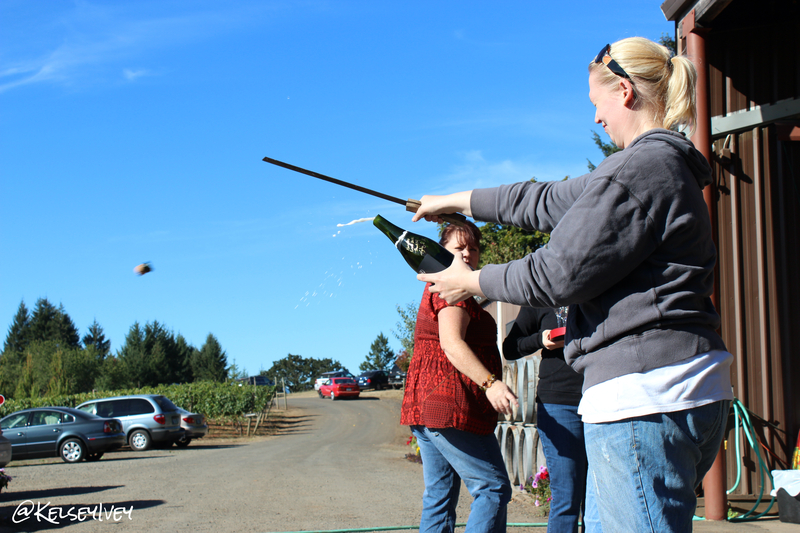 A small, family-run winery just outside of Gaston, Oregon, Kramer Vineyards specializes in Sparkling wine for all occasions – from happy-go-lucky get togethers to special anniversary parties – along with a delicious array of Pinot noirs and white wines. 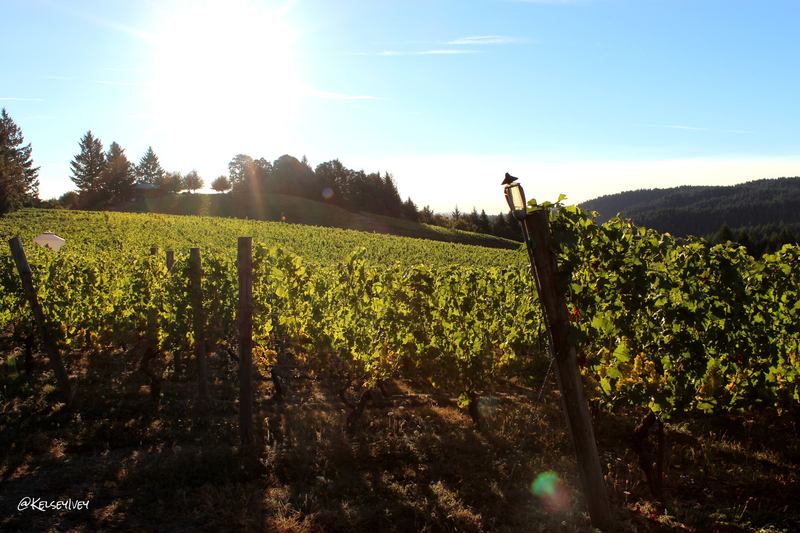 First planted in 1984, the vineyards are rooted in Willakenzie and clay loam soils in the Yamhill Valley bringing a rich terroir to their wines. 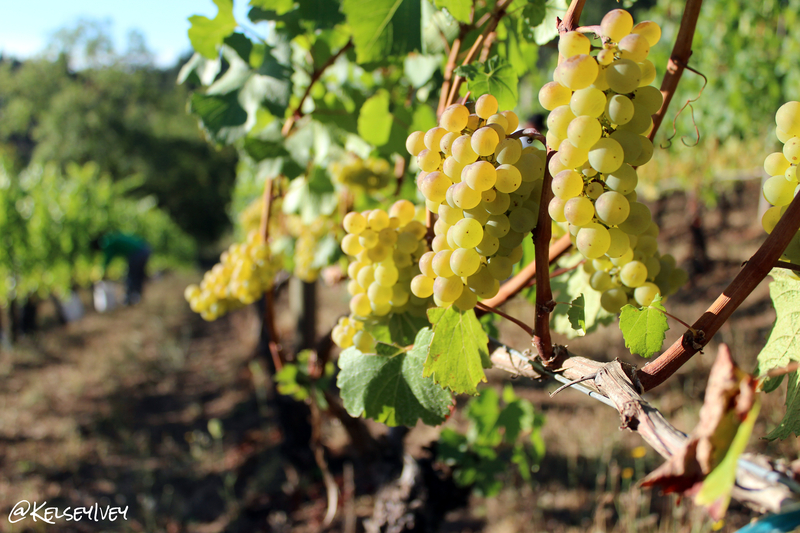 With warmer weather in the Willamette Valley this summer than in the previous three years, the 2012 vintages will again be a surprise for Oregon wineries all around. But like the Kramers, many are knocking on wood and very hopefully for this season’s crop. See more photos from the harvest event on my Facebook page.